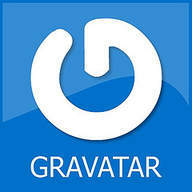 I have been trying to get my Gravatar to work for weeks. I think I may have figure it out. For any of you that are having the same problem as me here are some of the step I have made toward getting my gravatar picture to show up. I set up a Gravatar account a while back, added my personal picture to it and waited for it to sync up to my blog. Yeah right! I checked it. No such luck. Resized the picture. No such luck. Resized the picture again. No such luck. So I went into help and searched again on why my gravatar picture still wasn’t coming up. I missed that WP Websites won’t accept your personal picture unless your site is marked G rated. I changed my rating and waited. Normally the sync can take a few hours if you don’t know how to clear out your cache on your website/blog. I wasn’t sure how to clear the cache so I waited for my gravatar to sink-and waited some more. Nothing happened. Finally I did my research on WP Clear Cache. WP Super Cache-Clear All Cache -The cache plugin button didn’t show up on my desktop. I uninstalled-deleted the plugin. Zen Cache installed let me know that although it was compatable with my wordpress I needed to contact my website admin to upgrade a php file. WP Fastest Cache Plugin -easy one click install-setup. I clicked on the icon it automatically put on my dashboard and cleared the cache. My avatar showed up on Gravatar first thing:) We’ll see if it works on everything else.